There’s probably a press release somewhere, but I should probably just listen and lose myself in this. Endless Undo is a work of infinite subtlety, layered and detailed. It is, of course, the result of meticulous editing, a restive mind working and reworking, doing and endlessly undoing in order to achieve moments of microtonal bliss. Böhm’s field is, ostensibly, the space between ambience and beat-propelled electronica: the compositions are rhythmic at heart, and while there are distinct and definite beats, they’re rarely dominant, and are often subdued, restrained or otherwise bouncing agitatedly in the background. ‘Heissenberg’ is built around bleeps and whistles, crackles drones and some swampy avant-electro percussion, and creates an enticing atmosphere without disclosing even a fraction of the range of the album as a whole. ‘Liub’ goes scratchy and glitchy against clanking electronica, explosive blasts of shuffling, processed beats and while it’s paired back and sparse on the surface, there is a lot going on: ‘Dezembur’ bumps and scrapes, bumps and scrapes its way through tremulous fear chords and dramatic yet understated piano. Glass tinkles and chimes while a single picked note hangs in the air for an eternity, swelling before a slow decay. It segues into the dense swell of ‘Klicker’, which builds to a bubbling, bassy groove which is far from ambient, bit so swampy as to be submersive. 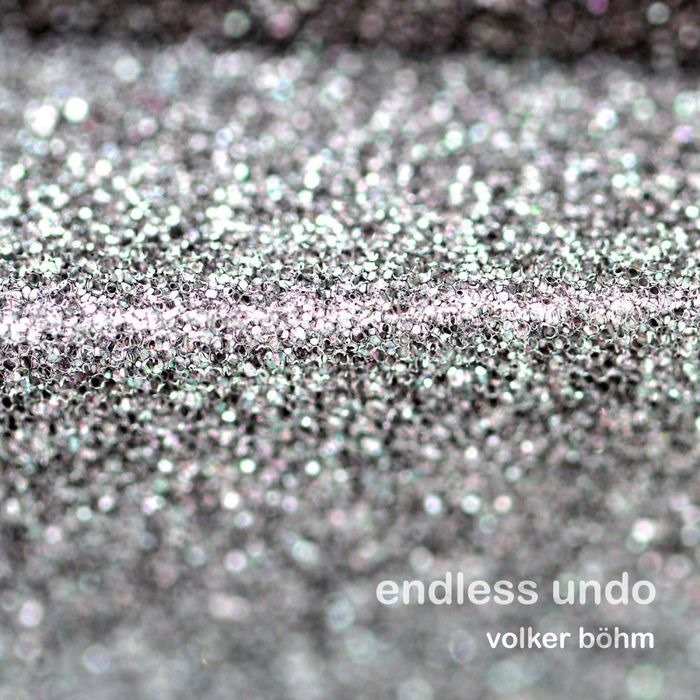 There’s a definite arc to Endless Undo, and while it may only contain five tracks, over the course of its thirty-five-and-a-half-minute running time, Böhm may not exactly develop a sense of narrative, but does build upwards in solidity and intensity before the sparse, crystalline ‘Madeira’ turns in on itself to bring the album to a delicate yet moody close. There’s a sense that Endless Undo is an album about potentials: the end product is simply the version the artist has settled on after a relentless tweaking and adjustment. It could have been a very different album. But then again, perhaps not, but we will never know.